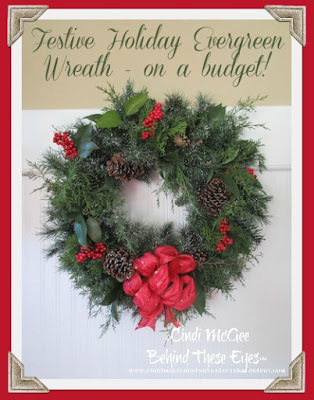 Designer Crafts: Festive Holiday Wreaths - On a Budget! Do you love those "upscale" (expensive!) wreaths you see for sale around the holidays but don't have the cash to buy a new one for your home each year? It's easy to create beautiful holiday wreaths for a fraction of the cost!